This post may be a bit strange... but I just can't help myself! You see... I've been listening to the weather and it's STILL WINTER OUT THERE FOLKS! It's somewhat hard to remember that when you live in Florida. When looking through things to chat with you about - I decided - we need to stick with "winter topics". I just have to... I can't give up the snowmen and winter projects just yet! So... to start off this "winter blog"... how about this cute little fellow? Plus... I wanted to share this sign - it's one of my absolute favorites and I think it should hang up all year long!! Doesn't this just say it all? 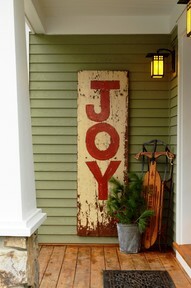 JOY should be shared all through the year. Man I wish I could get my hands on this bad boy... it would be MINE!! LOVE IT!!! And then...check out this sweet idea! I was going to make these for my granddaughters (the little ones - Eden and Lexie) and then I thought... "what are you thinking... it's not COLD enough here to even wear these things?! DARN IT!! 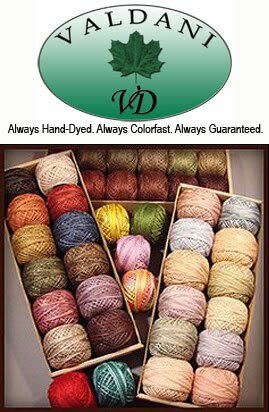 So.. you make them (for those of you that live in cold country). Now how cute are they? 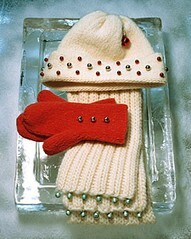 Find cute hats, mittens and a scarf - go to your local craft store and find pretty jingle bells. Stitch them on - and BINGO... you have an adorable holiday set ! Can't you just see someone wearing this while they are ice skating? So sweet! Now.. if they ice skate like I do (falling down - A LOT!!) they would really be "jingling"! I remember skating at our grandparents in the winter (they lived at the lake). OMG... my first pair of skates (our grandparents bought for us) were so wonderful... all nice and white. They were so BIG (they wanted them to last more than one winter) we had to stuff socks in the toes. But we didn't care... we were so happy. HOURS and hours we would skate (actually fell more than skated). We found some wonderful OLD metal lawn chairs (the kind that DID not fold up). We pushed them on the ice while holding on until we could skate without their aid. I loved spending time at my grandparents... skating in the winter and swimming and fishing in the summer... making barbie clothes, eating Grandma's homemade chocolate pie, eating ice cream and watching Perry Mason (wow did I love his smile...even as a little girl! Grandma and Grandpa used to laugh and tease me about him...), eating home made fried potatoes for breakfast. Gosh I loved them so much... memories... that's what it is all about. I can't wait to get to Heaven and be with them again. Memories with my granddaughters is what it's all about!!! Ok... I'm moving on to a new topic...getting to "teary-eyed". Here are three more "winter decorations" that I just had to share with you. 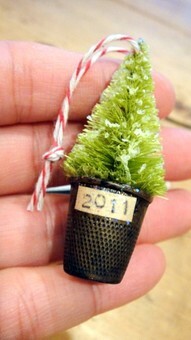 This little bottle brush tree has been set down inside a sweet thimble. The thimble looks a bit larger than normal... but I still thought it would be a fun thing to make!! Now... how sweet is this? 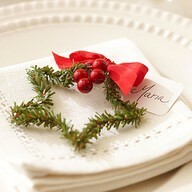 It's simply the wire greenery - shaped into a star, with a red bow, a few berries and then the name tag attached. It's cute as a place setting tag but also for packages!! Organization tip for the day! !